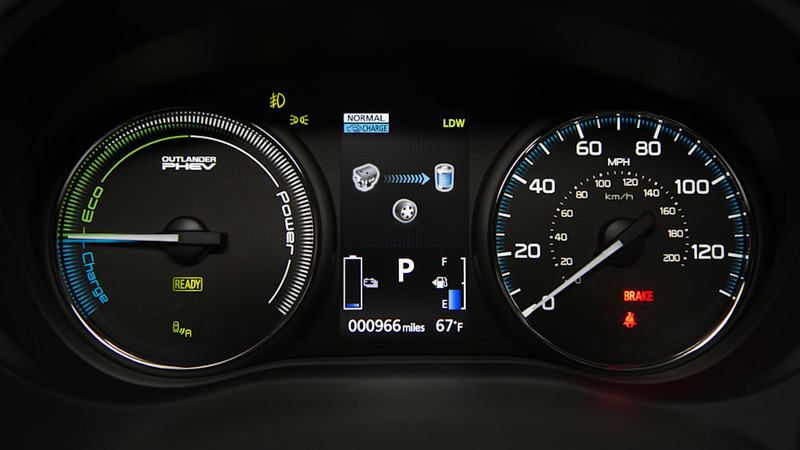 Because of this powertrain layout, the Outlander PHEV drives much like an all-electric car most of the time. 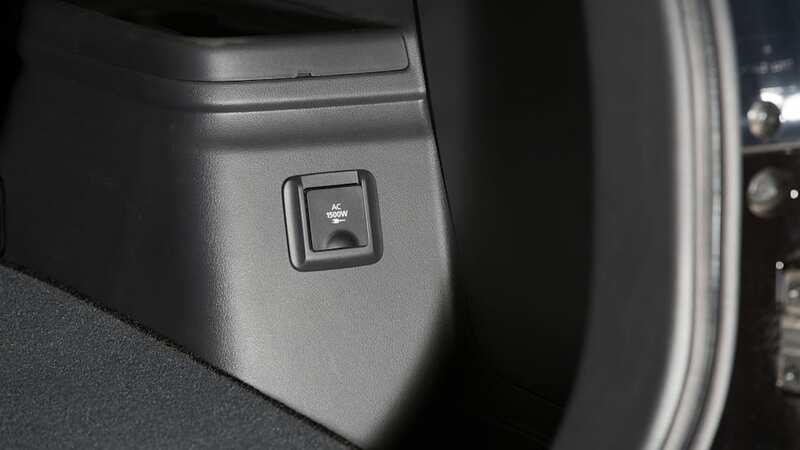 It's nearly silent except when the engine kicks on, or when accelerating or decelerating hard. In the case of the latter, you can pick up a faint, futuristic whir from the motors. It feels very smooth thanks to a lack of transmission shifts. The throttle is responsive since there's no CVT adjusting ratios or a torque converter making responses a little slushy. 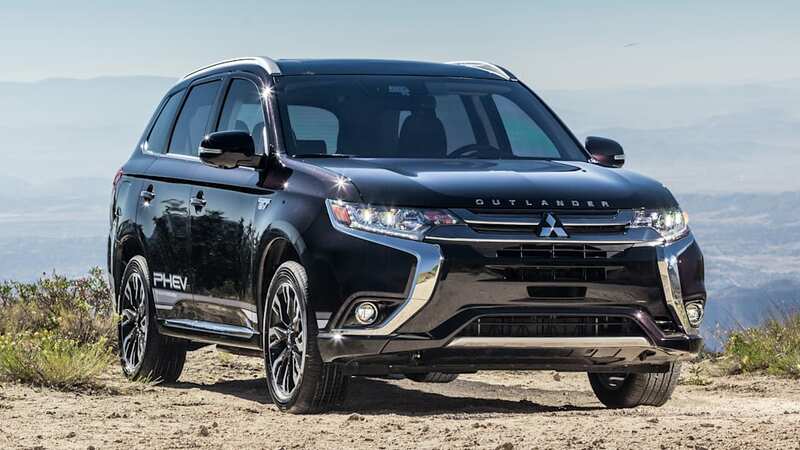 And of course there's the instant torque that all electric motors provide, which makes the Outlander spunky around town. You can even adjust the strength of the battery regeneration by putting it from "D" for drive into "B." 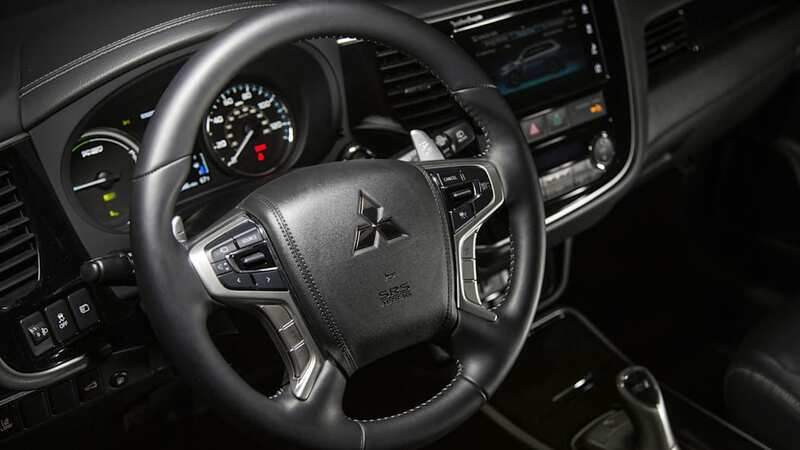 Then you can set the strength via the steering wheel paddles. Also impressive is the fact that the powertrain is still quite smooth and quiet when the engine fires up. 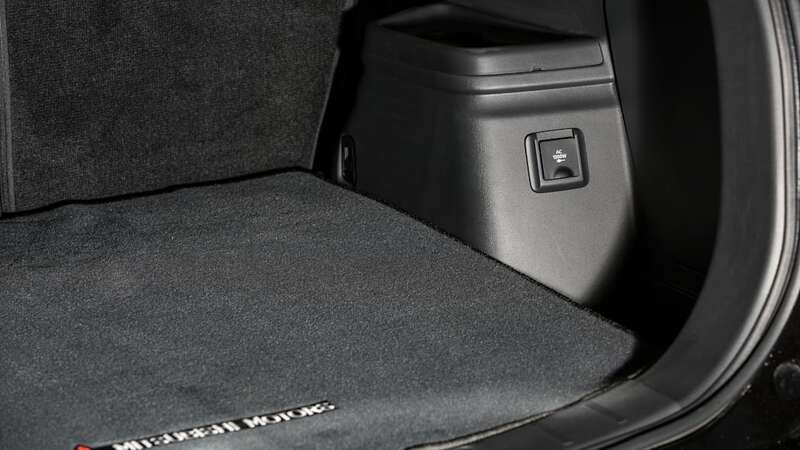 When it starts, it's barely noticeable as there's very little vibration or noise. It stays quiet, too, since most of the time it only has to run at very low rpm to generate electricity. 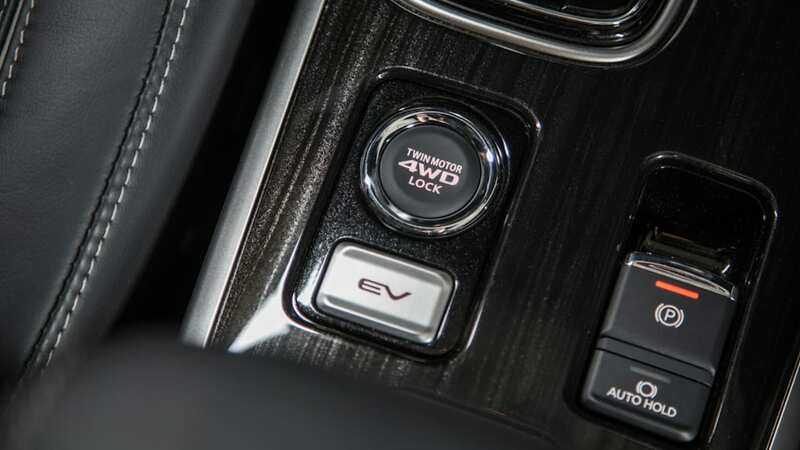 With a low battery and heavy acceleration, the engine does have to rev higher, and you will notice more engine noise, but thankfully, the engine is fairly refined and quiet. It's more of a hum than a drone or a buzz. Plus, it usually doesn't last long except during sustained hard acceleration. 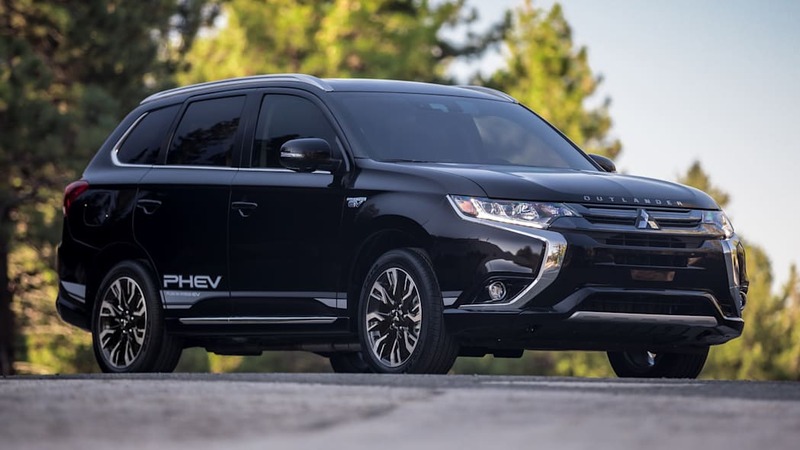 There is really only one major drawback to the Outlander PHEV's drivetrain: The spunky low-speed acceleration vanishes when trying to accelerate to highway speeds. It simply starts running out of gumption the longer you keep your foot down. 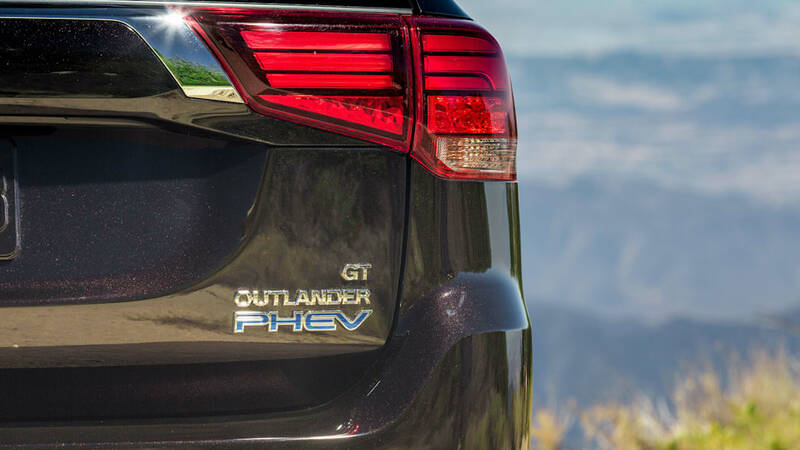 Another drawback is that the Outlander PHEV isn't as frugal as comparable sedans. 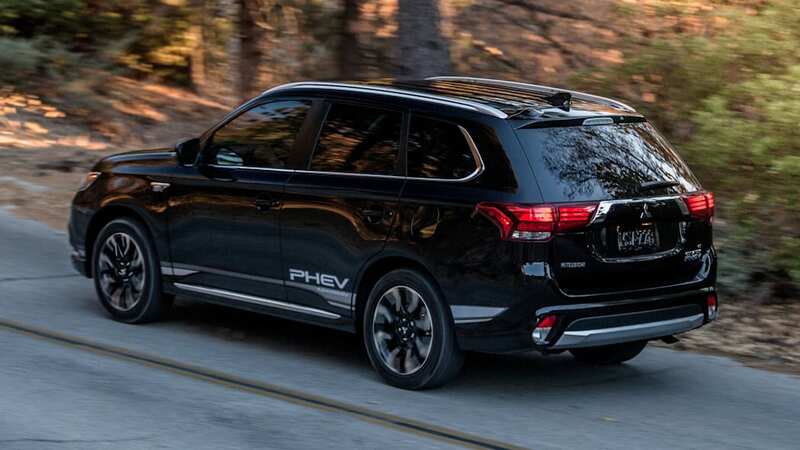 Most other PHEVs are based on existing family sedans or are their own unique cars, and most of them, including the Prius, Ioniq, Niro, Sonata, Clarity, Volt and others get better electric range and miles-per-gallon-equivalent figures than the Outlander's 22 miles and 74 MPGe. With that being said, that electric-only range is still very usable. It got me to my house 15 miles away with range to spare. And if you have access to a DC fast charger, you can get 80 percent of the range back in 25 minutes. 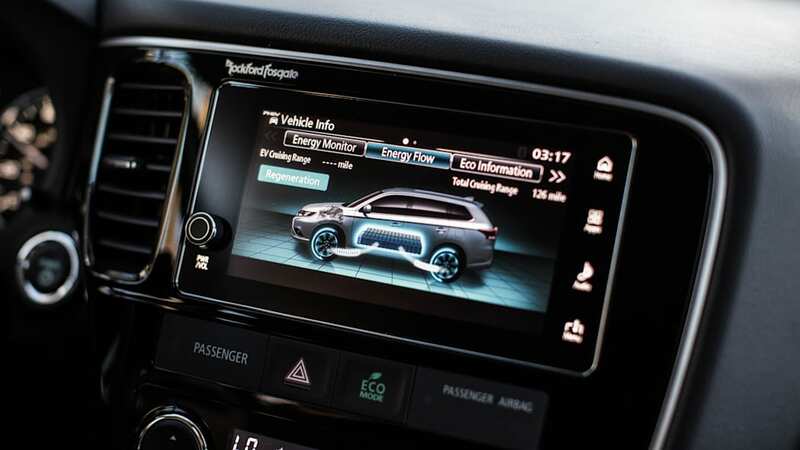 When its electric-only range has been exhausted, its estimated fuel economy of 25 mpg combined is just a bit lower than premium PHEV crossovers such as the Volvo XC60 and Mini Countryman. 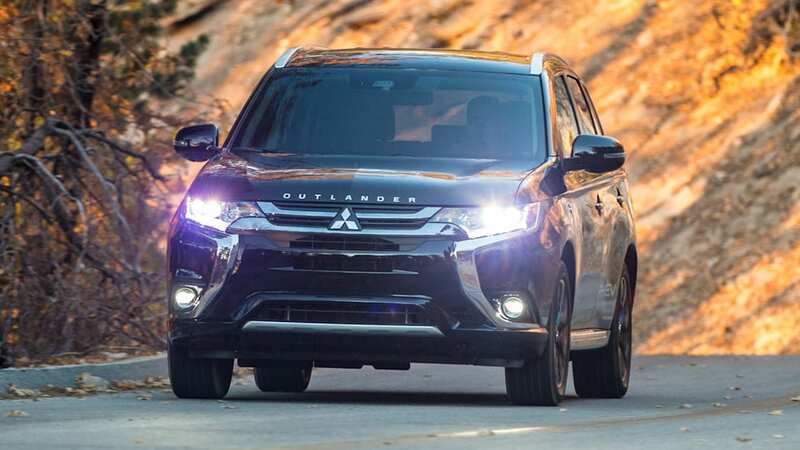 A conventional four-cylinder Outlander 4WD gets a bit better at 26 mpg combined, but that's a bit deceiving since if you're not using the electric-only range, what's the point of getting a plug-in hybrid. So if you're unlikely to plug it in much, if at all, most of the efficiency benefits vanish entirely. 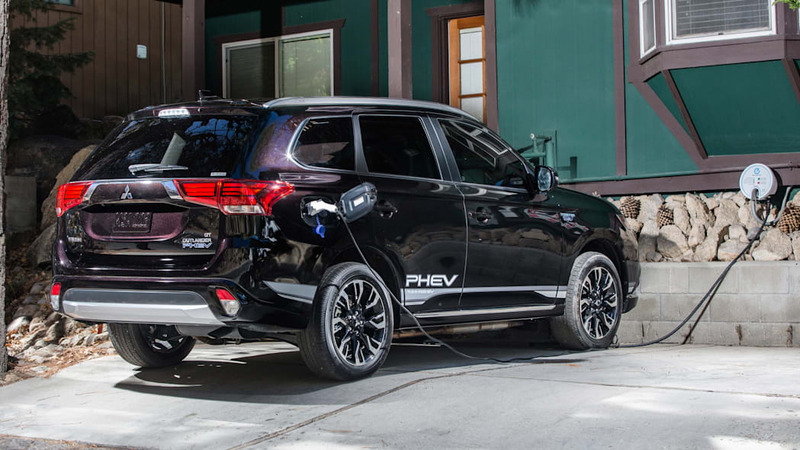 The utility of an otherwise largely uncompromised crossover takes the sting out of some of the efficiency concerns. 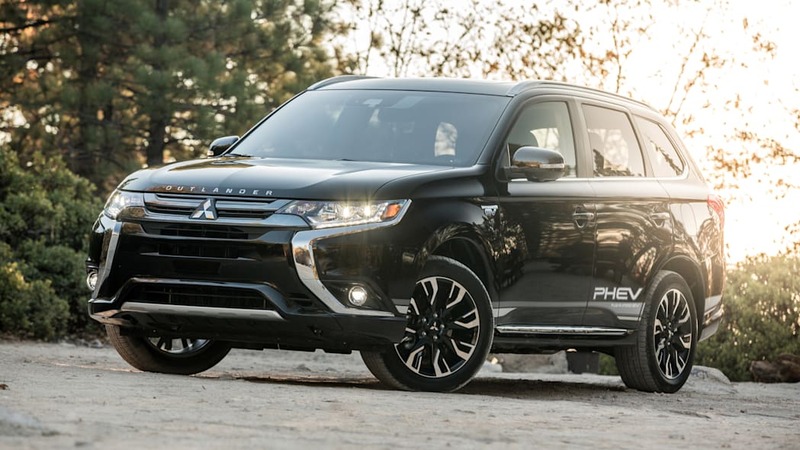 As noted above, if you want a larger PHEV crossover, this is the only game in town (if you discount the PHEVs from European luxury manufacturers). 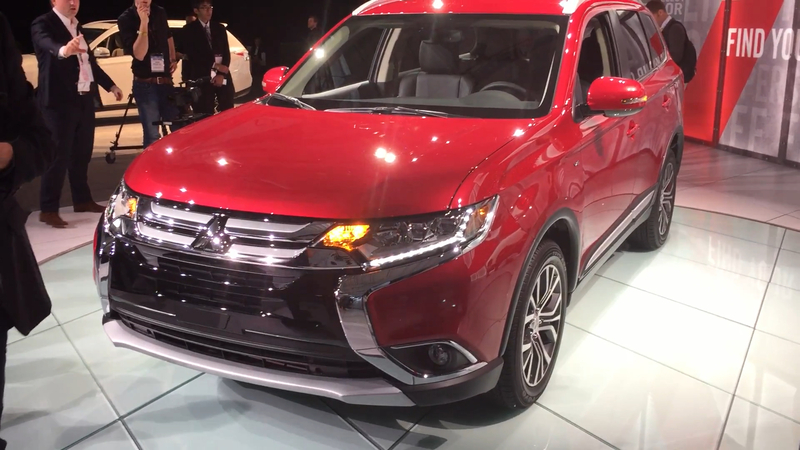 From the outside, it looks just like a normal Outlander, provided you skip the $285 accessory body stripes. 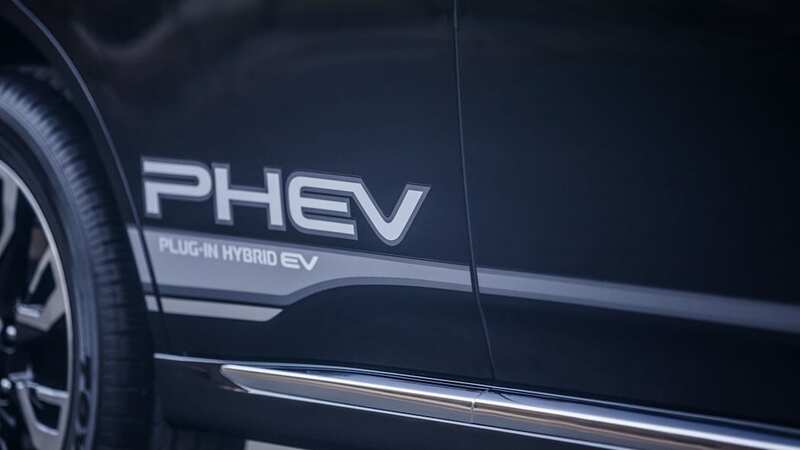 And without the stripes, the only giveaways are fairly sizable "Plug-In Hybrid EV" badges and an extra fuel door. As such, you're getting a popular SUV body with no concessions to make it look distinctively green. 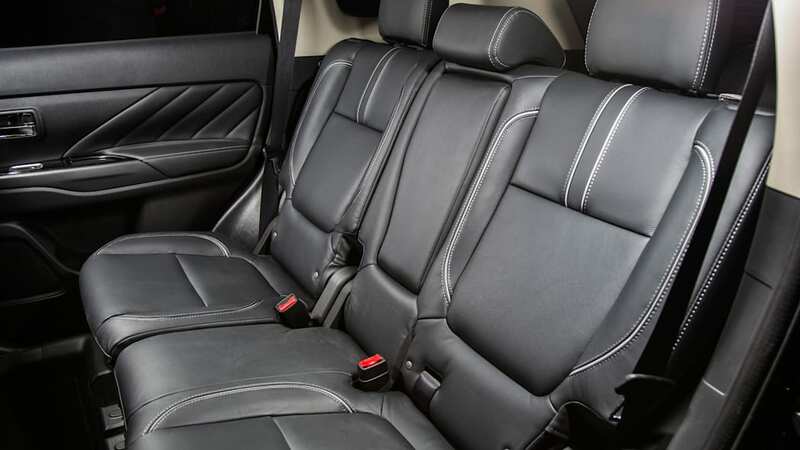 Inside, you also get the same roomy crossover interior as a normal Outlander, particularly in the cargo department. 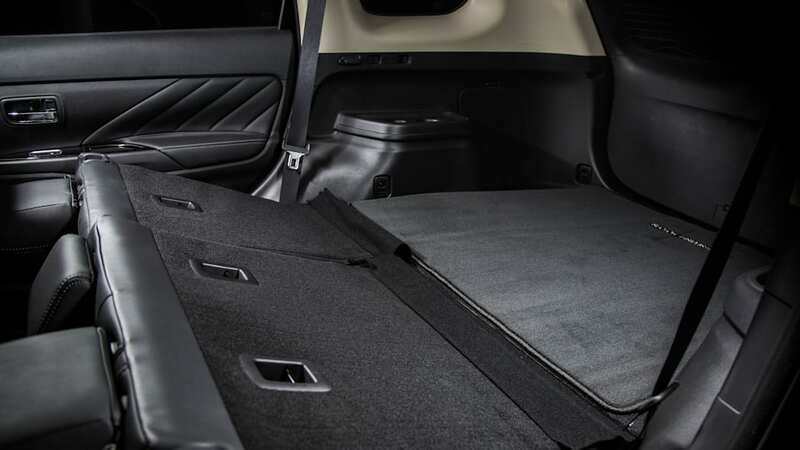 Behind the second-row seats, the Outlander PHEV has 30.4 cubic feet of space, just about 4 cubes shy of the normal model. 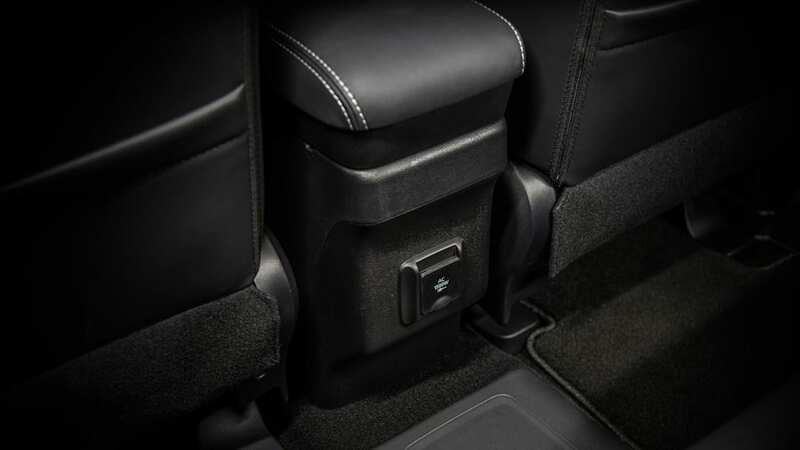 Behind the front seats, the Outlander PHEV is listed as actually having more cargo space than the normal model. 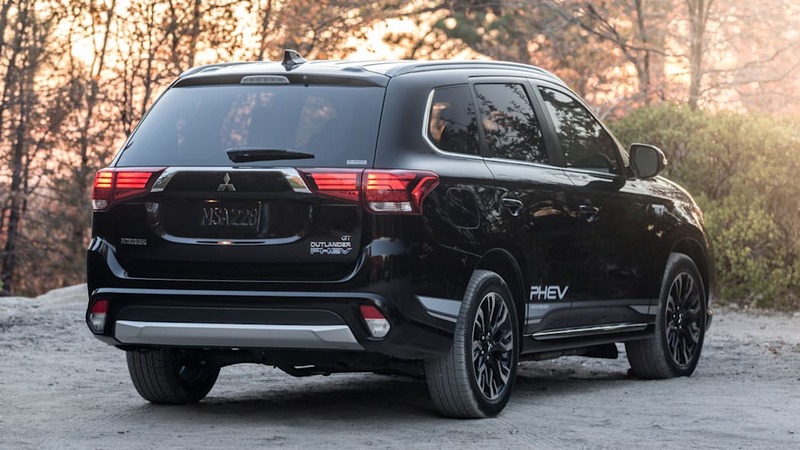 The only potential drawback is that the PHEV doesn't offer optional third-row seating, but as that's a rarity for vehicles this size, it's a nominal loss. And of course the interior feels totally normal, too. 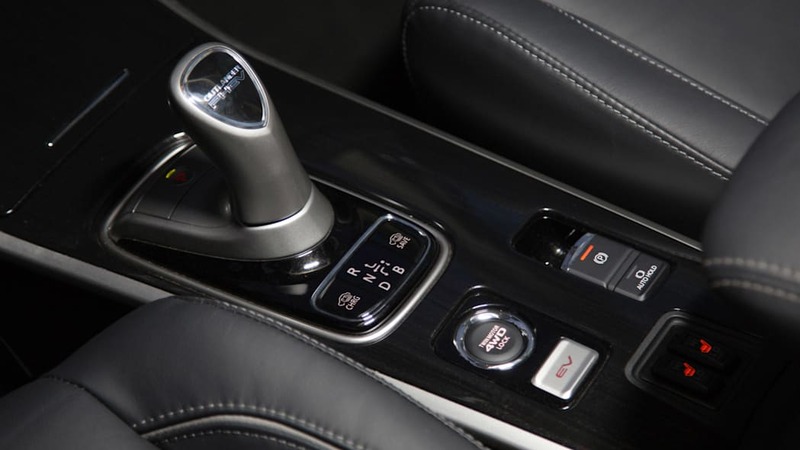 Everything is lifted right out of a standard Outlander except the shifter — which is a rather strange-looking electronic monostable shifter — and the replacement of the tachometer with a power usage meter. 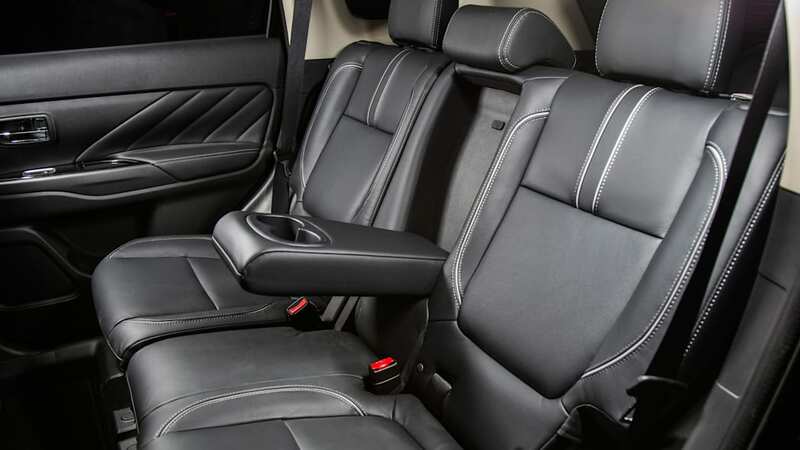 That's bad in the sense that the Outlander's interior is pretty low rent, with cheap plastics and a design that dates back to 2012. 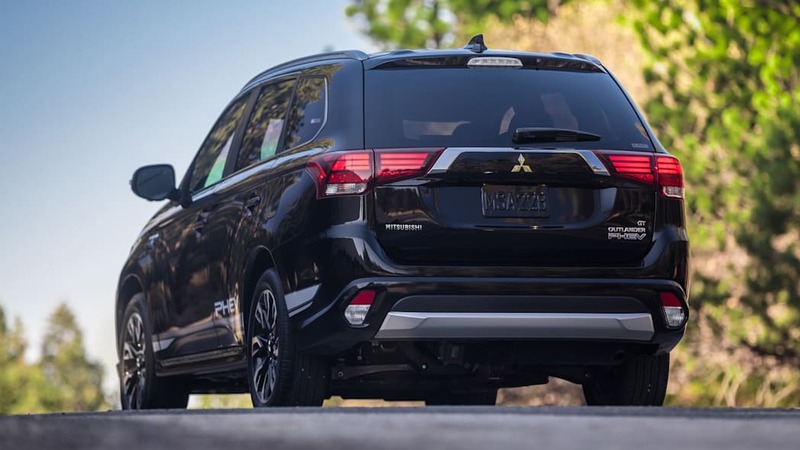 But it's good in the sense that it's fairly unintimidating or overly futuristic for those who simply want a normal car with hybrid capabilities. 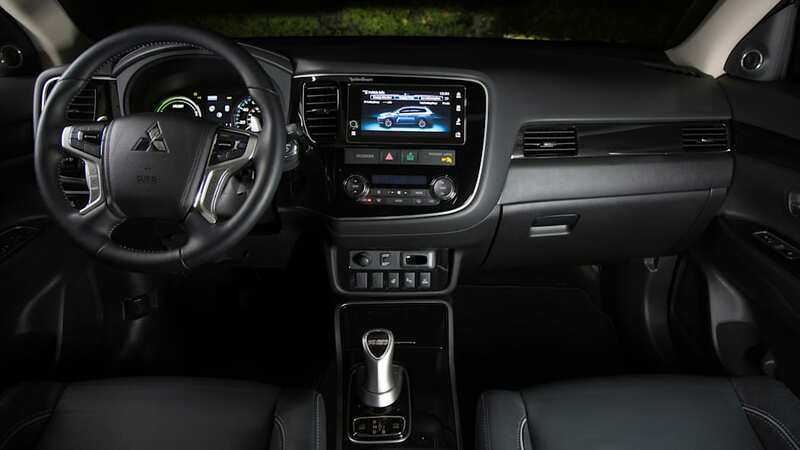 It also, thankfully, features standard Apple CarPlay and Android Auto on an average 7-inch touchscreen. The touch buttons on the far right of the screen are a bit annoying, though. 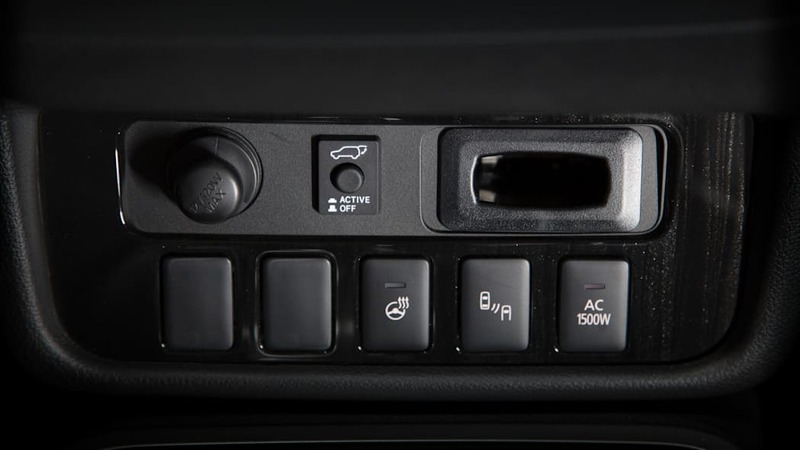 At least it has a real volume knob, unlike the Mitsubishi Eclipse Cross. 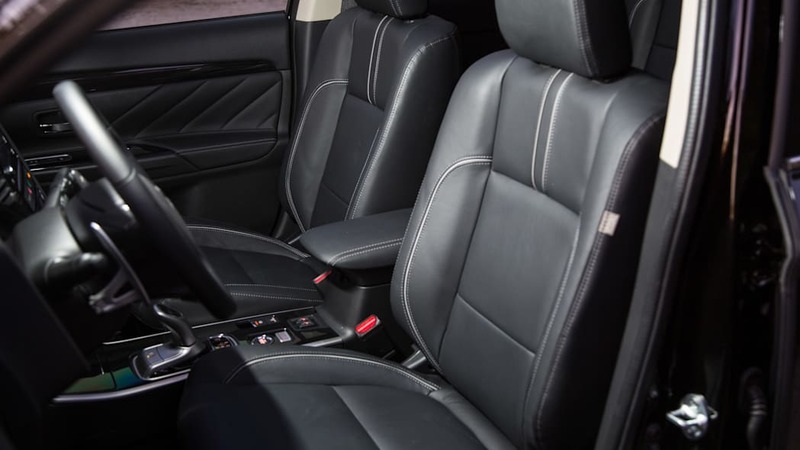 Fit and finish complaints aside, the Outlander PHEV has reasonably supportive seats and a high seating position with a good view out. 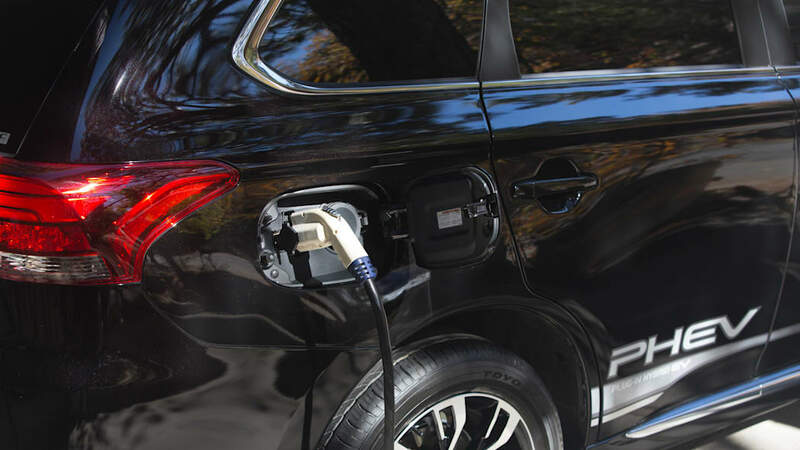 You even get a rather trick feature with the hybrid that should make you a favorite at tailgate parties: The Outlander can function as a portable battery providing 1,500 watts of power for whatever you're bringing along, such as a TV or blender. 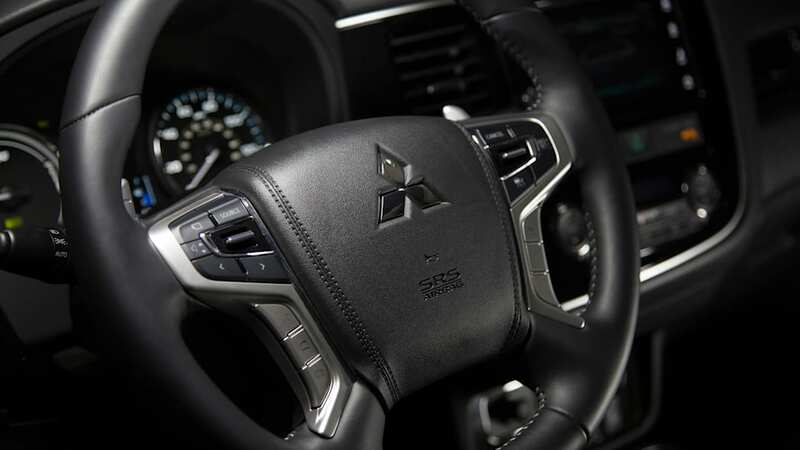 The driving experience is pleasant as well. 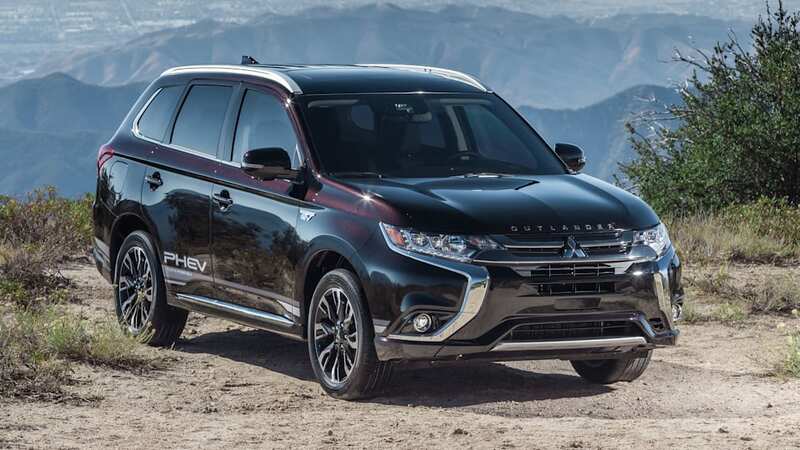 In addition to the smooth and responsive powertrain, the Outlander PHEV has superb cruising capabilities. 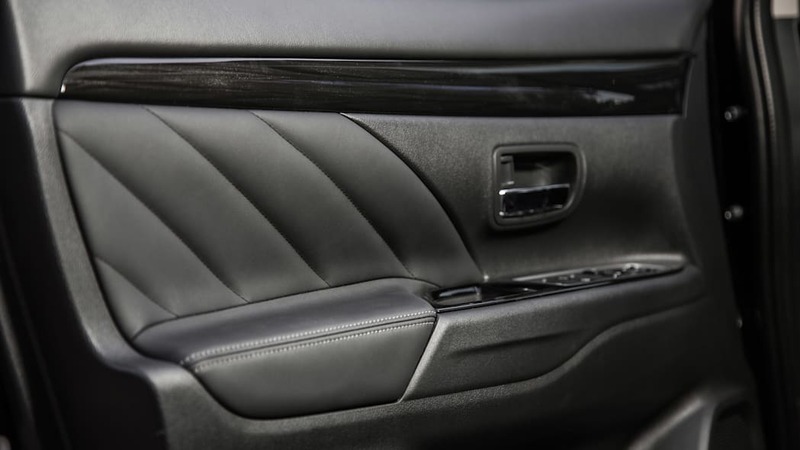 The ride is supple, softening every bump and keeping the body and occupants as steady as the drip from that faucet you promised yourself you'd fix six months ago. The cabin is very quiet, too, aided by the aforementioned hybrid engine and motors. 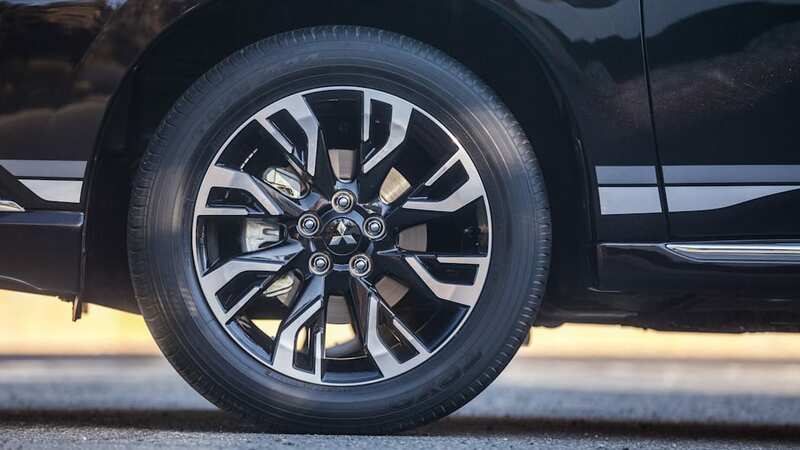 If you're looking for a sporty, fun-to-drive crossover, though, you should look elsewhere. There's quite a bit of body roll in corners, and the steering, while weighted well, is vague and slow. The front isn't particularly eager to turn in either. 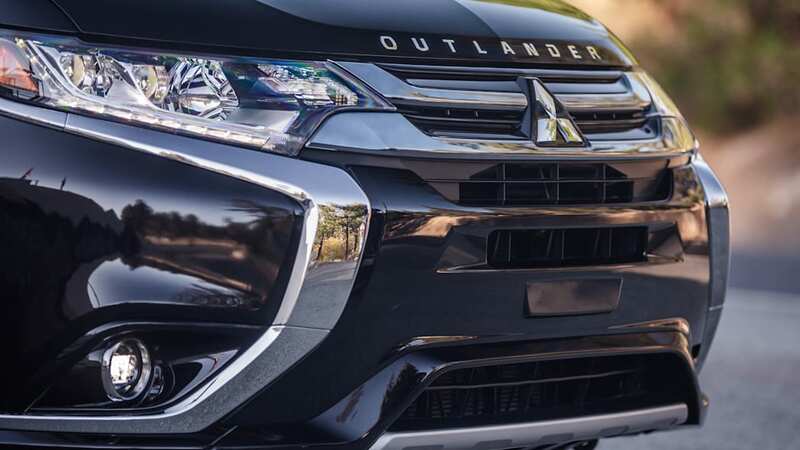 But not every car has to be sporty, because plenty of people just want something comfortable, and the Outlander PHEV delivers. 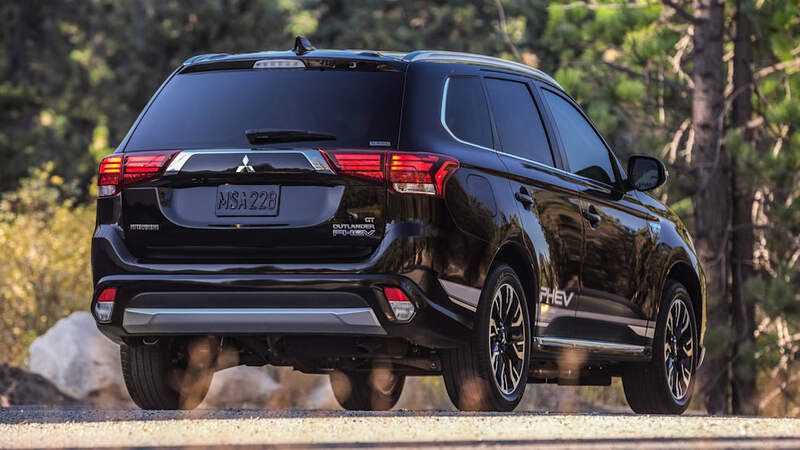 The entry-level Mitsubishi Outlander PHEV is actually a higher-trim level on normal models. 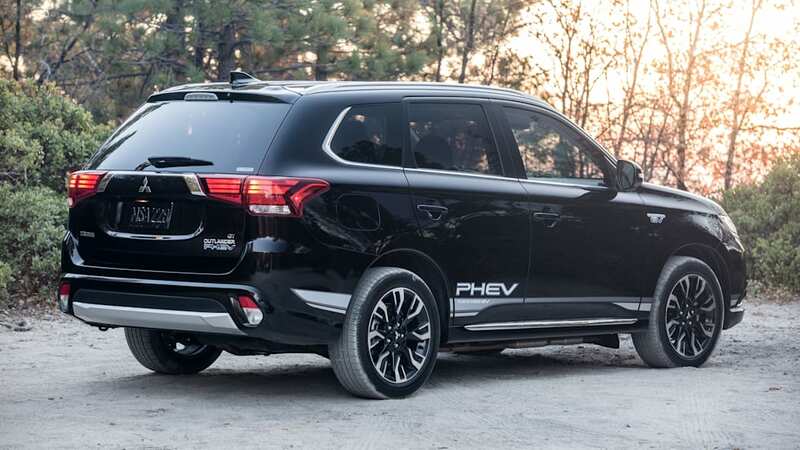 It's the SEL with all-wheel drive, and in non-hybrid form, it would start at about $29,000. 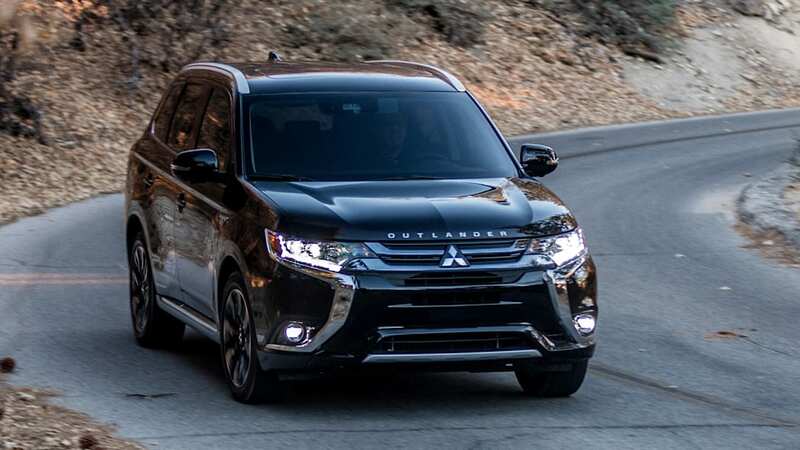 The hybrid adds a fair amount of cost to that price, giving the Outlander PHEV a starting price of $35,915 before federal ($5,386) and possible state incentives. 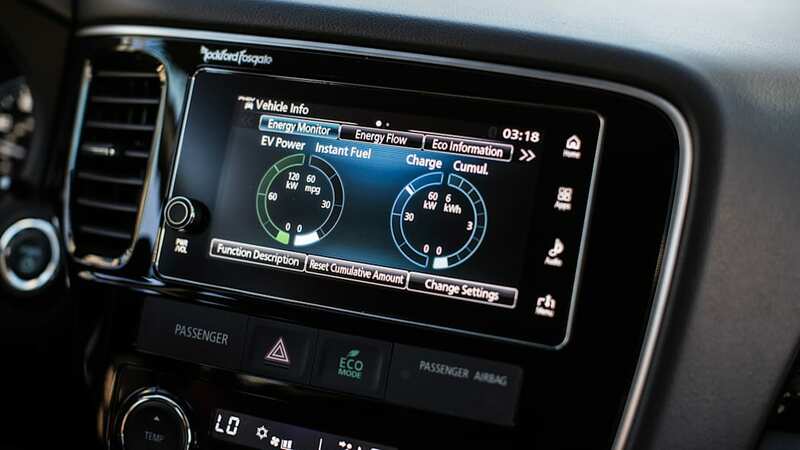 Though that isn't cheap, it is similar to that of the Chevy Volt and Honda Clarity. The Niro PHEV is much cheaper at $28,840, but it's also smaller. 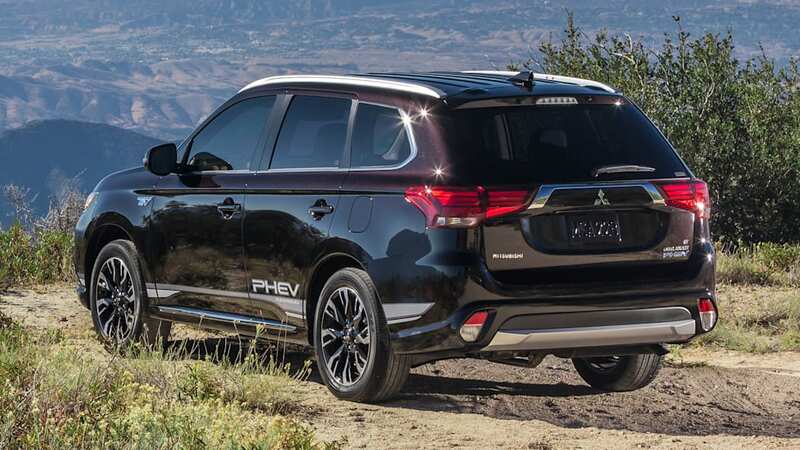 What the Mitsubishi Outlander PHEV is, is an Outlander with a lot of gravy. 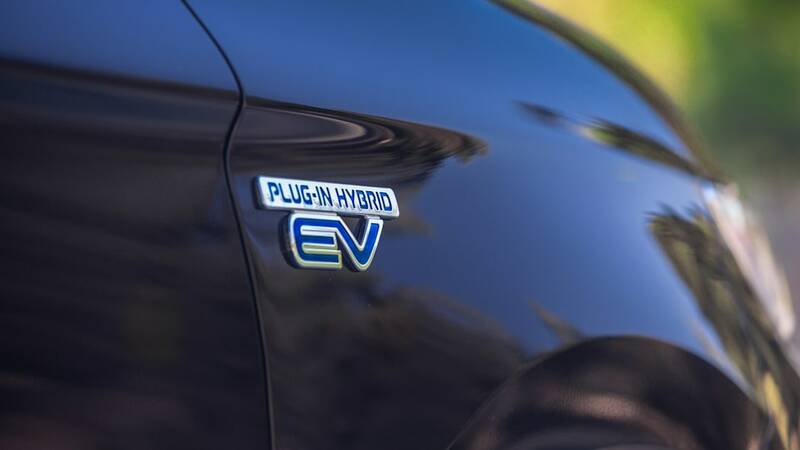 It takes the strengths of the standard crossover, such as its practicality, crossover styling, pleasant ride characteristics, and attainable (if not super-cheap) pricing, and slathers on a futuristic hybrid system that has usable EV-only range. 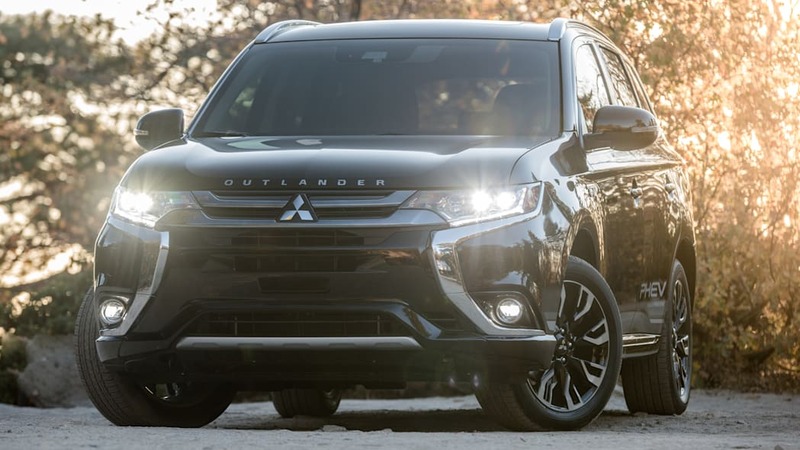 But because it's an Outlander with gravy, it also comes with the Outlander's weaknesses, such as its outdated interior, mediocre handling, and sub-par gasoline-only fuel economy, the latter being an issue when comparing it to similarly-priced PHEV sedans. 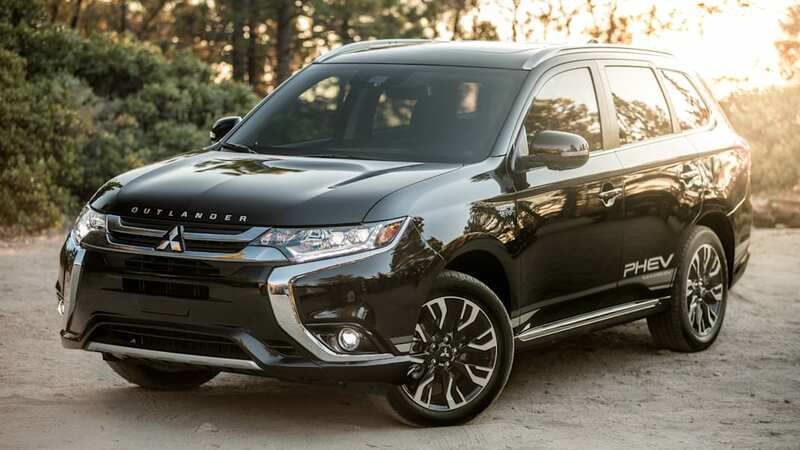 But if you've been wanting a taste of the plug-in hybrid electric life, but simply haven't been able to give up the style or practicality of a small to midsize crossover, the Outlander is a very compelling package for a reasonable price.